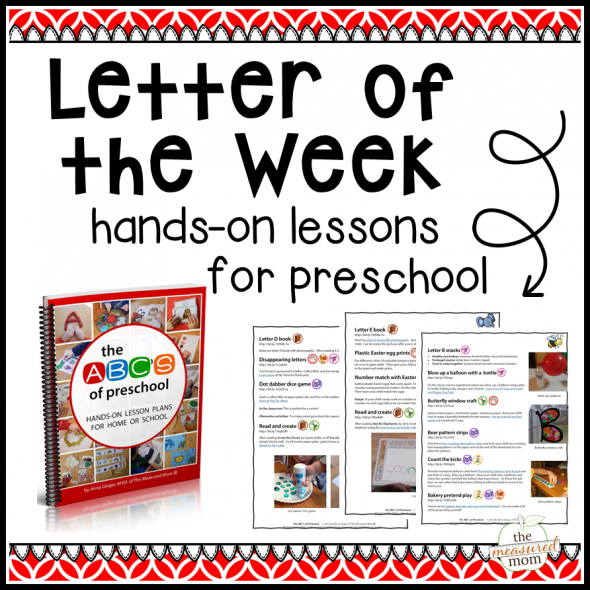 Are you looking for letter A activities to use with your preschooler or kindergartner? Maybe you’re a classroom teacher browsing for more ideas. I would like to learn more on how to teach the alphabets to beginners. I am so grateful that I was able to find your website! You have so many fun ideas and things to with the kids. Definitely recommending your website! Take care and keep up the awesome work! 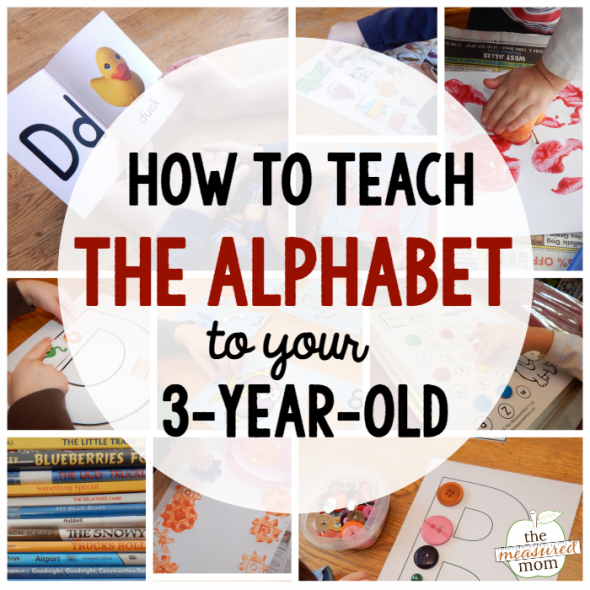 I was so excites to wake up to this huge alphabet resource in my email inbox today! Thanks for all your hard work. I will definitely be using these in my Montessori school. I LOVE your website. It has a lot of interesting stuff for preschoolers. i was wondering do you have any second and third grade resources. I have a niece who is seven and would really like to use some of your resources with her. Hi Janelle! My oldest is seven, so I do have some resources for older children, even though my focus has been preschool so far. They are easy to find because I tag all my post with the ages they are recommended for. Just go to the search bar (top right under the menu bar) and put in “second grade.” Everything that fits that age group will come up. Just wanted to say a big thank you for sharing your ideas and resources! Hello. In this picture for letter Aa activities and printable is a picture with a dice and a page with what looks like ladders. It looks like a graphing activity. Where would i find this printable? And do you have it for all letters? Thank you. You can buy the whole series for $10 or get each letter pack by itself for free. I usually use her search bar and search for “Letter A printable pack” or whatever letter I’m hunting for. THank YOU!!! I have been spending and spending books to teach my 2 and 3 year old the alphabet and its all paper work. I was so excited to see all the activities! Hey. 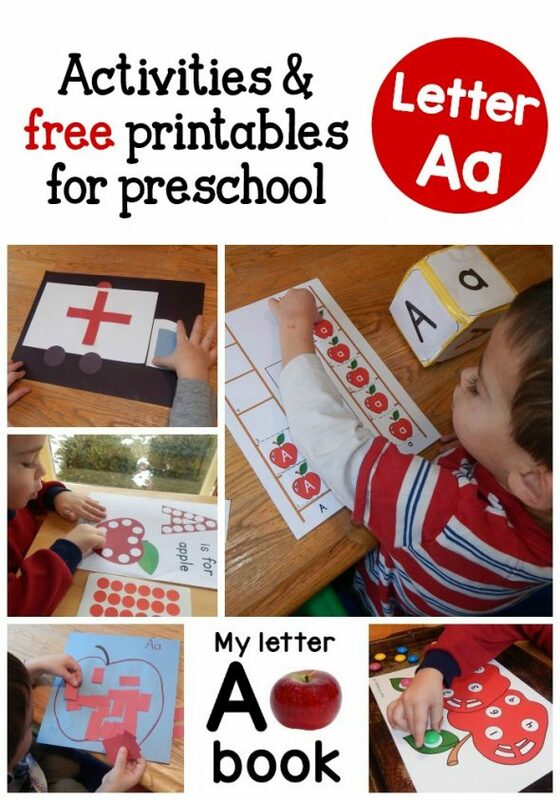 I’m looking for the printable for the chart and dice apple activity pictured at the top under the Activities & free printables for preschooler for the Letter A. Where can I find it? Thanks! Apparently it’s not free 🙁 I think it’s offered in a bundle for $10. Totally worth it I’m sure, but I can’t afford to purchase anything else right now. 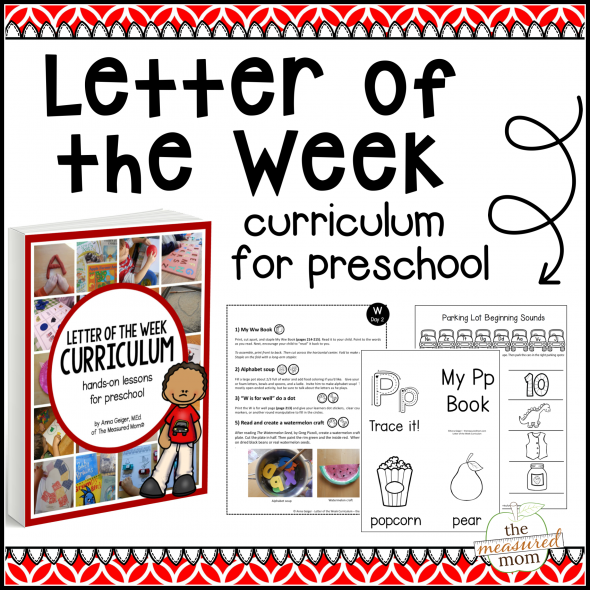 I just purchased your letter of the week Book for pre-school does that mail out or can I download it, if so were would I find the download. I love your website I am a in home daycare and I prepare my pre school children for kindergarten. Hi Valma! It looks like you had a typo in your email address when you ordered the file. I changed it and resent. Please send me an email at anna(at)themeasuredmom(dot)com if you still don’t see it! Aol can also be finicky. Awesome website! I appreciate all the hours of work you’ve put into it and all the freebies you offer! Thank you for the encouragement, Linda! your website so great. i’m very interesting. i want to find hand writing alphabet. where do i get it? and i to purchase some ebook in this website. your website so great. i’m very interested in this. i want to find hand writing alphabet. where do i get it? and i want to purchase some ebook in this website. i want to download it by myself.